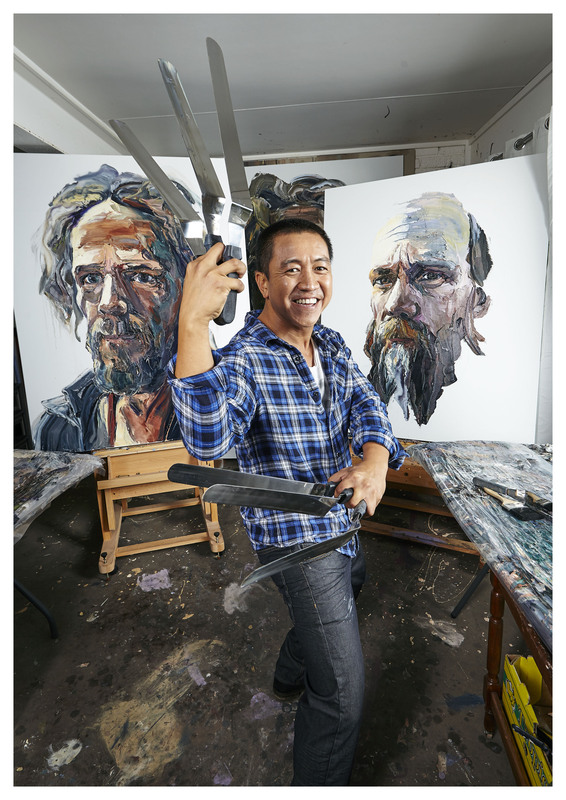 When the finalists for last year’s Archibald Prize were announced, many were surprised to see that comedian Anh Do was represented with a portrait of his father. Do himself was utterly thrilled: “Just to walk into the Art Gallery of NSW and see what was sitting in your garage a few weeks earlier hanging up there was wonderful,” he says. It was no flash in the pan either. 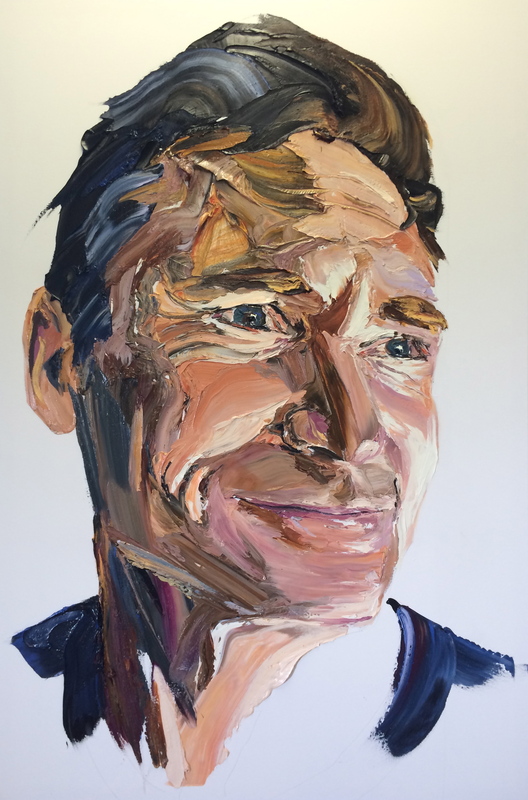 Do won the 2014 Kogarah Art Prize with another portrait and currently has his first solo exhibition at Olsen Irwin in Woollahra, one of Sydney’s leading commercial art galleries. Do famously arrived in Australia at age three as a refugee when his family fled strife-torn Vietnam in a leaky boat. Drawing on his life story in his stand-up shows, he has become one of Australia’s best-loved comedians, filling venues and popping up on TV programs such as Thank God You’re Here and Dancing With the Stars on which he was the runner-up in 2007. Russell Crowe is going to direct a film based on Do’s award-winning autobiography The Happiest Refugee for which Do has been working on the screenplay and will play his own father. In between all that, he now spends much of his time painting in a large garage at his home on the Illawarra coast where he lives with his wife Suzie and their four children. The solitary hours spent applying thick oils to canvas suits his temperament. “People who know me will tell you that I’m more of an introvert than people think. Actually, a lot of comedians are and it surprises people,” he says, chatting at his home with its view of the ocean. Do has always loved art but has come to it relatively late – partly because his father, who was an alcoholic, walked out on the family when Do was 13. He didn’t see his father again until he was 21, though they are now very close. “As a kid I loved art, loved it,” he says. “But somewhere along the line in school I stopped taking art classes because people told me if you want to get high marks in the school certificate don’t do art. “My mum raised three kids on her own on sweatshop wages of about six bucks an hour so there was a lot of late rent and landlords knocking on the door,” recalls Do. Do got into Law at university. “But I couldn’t help myself. I signed up to study art at TAFE simultaneously. You can’t really do both so I ended up skipping all the law classes because they were really boring and going to all the art classes. 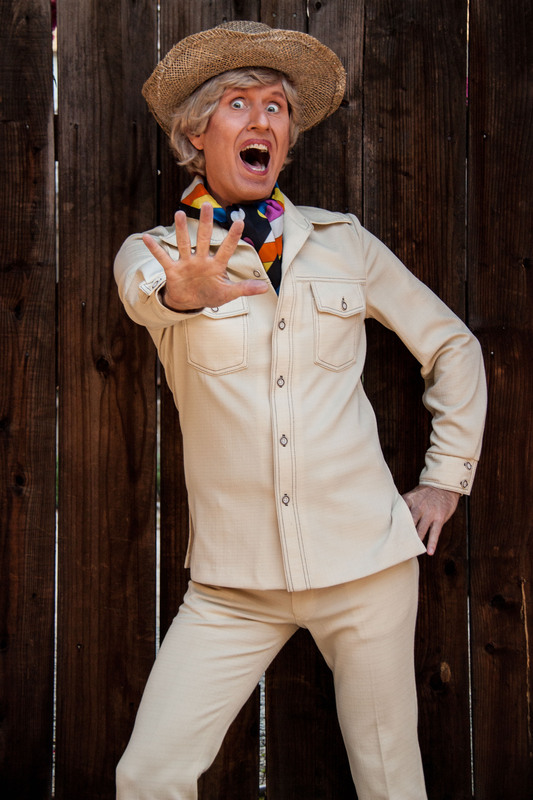 Then, of course, comedy came along and wiped both out,” he says. 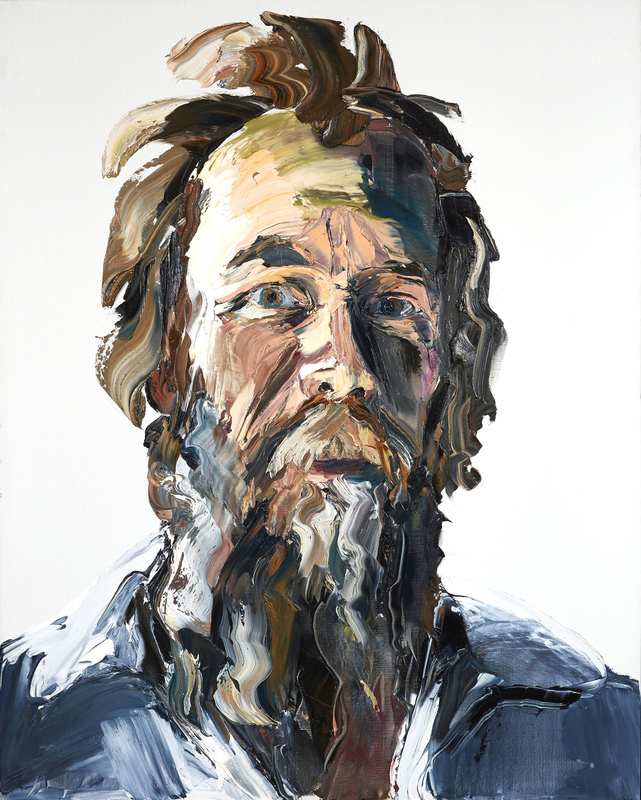 His solo show, entitled Man, features a series of portraits, many of them with a haunting gaze similar to that of his father in his Archibald painting. “These guys that I’ve painted, they’re lived a full life and they’ve had their ups and downs and it shows in their eyes. That’s what interests me,” says Do. “A lot of being a comedian is about observing people. When I’m on stage I look at people in the audience. It might be 2000 people in the State Theatre but I’ll look at a few people and make eye contact with them. It’s an incredibly powerful connection for two people who have never really met properly. “I’m interested in everything about people. Not just, ‘what do you do for a living?’ but I want to know about their fears and their sadnesses and listen to their regrets and all of that, both sides of it, the happy and the sad. A lot of my work is driven by what makes people human. Do credits fellow comedian Dave Hughes with encouraging him to draw on his own experience. “A couple of years ago me and Hughesy had just finished filming Thank God You’re Here. We were just hanging out and I started telling him real life stories and he goes, ‘mate, this stuff is fascinating, you should tell it on stage,” recalls Do. Hughes was one of the first people Do painted. 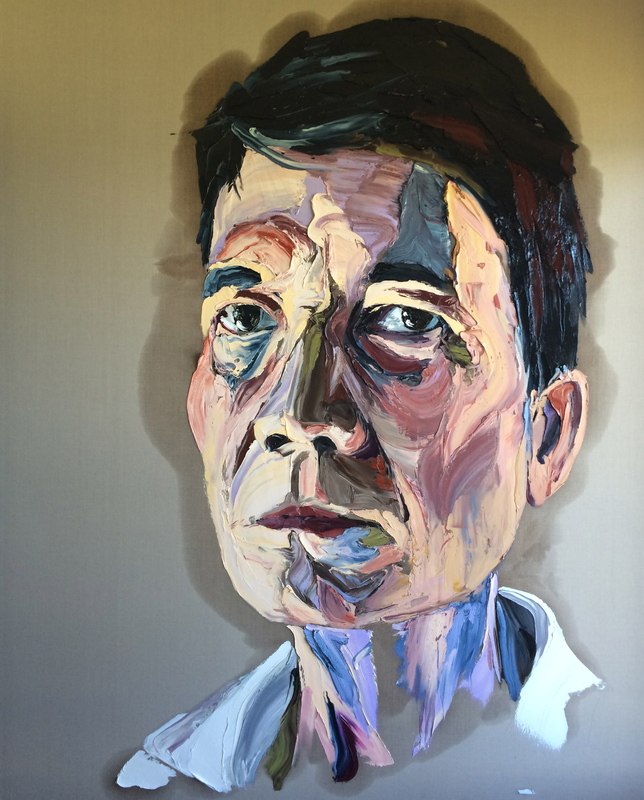 He entered the portrait into the Swan Portrait Prize in Perth and was selected as a finalist. Do says that now that he paints regularly, he notices things he never did before. Do has been performing his comedy show The Happiest Refugee Live for three years now but there is so much demand for it that he will take it on another national tour in May and June. “It’s not just stand-up. There are videos and pictures and props on stage. It’s almost a theatre show,” he says. It’s certainly an inspiring story – as is Do’s positive outlook on life.